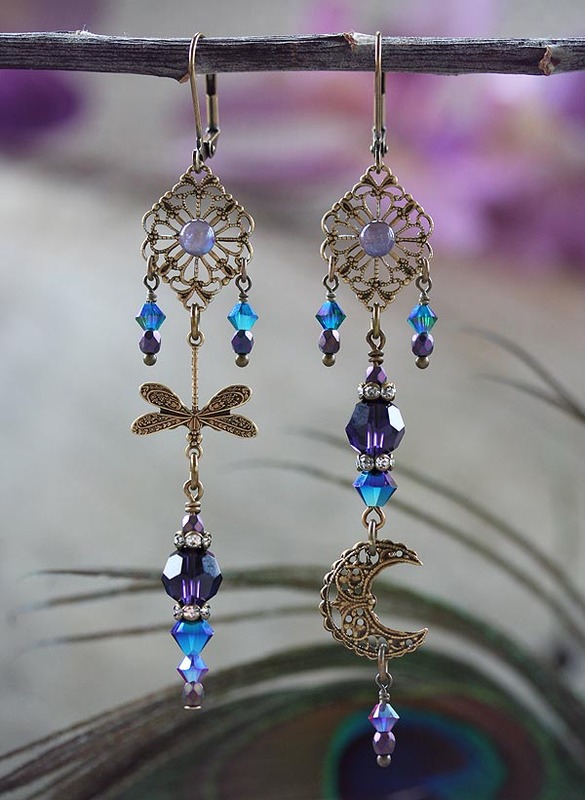 I have spared no detail in these fantastic, asymmetrical bohemian earrings. 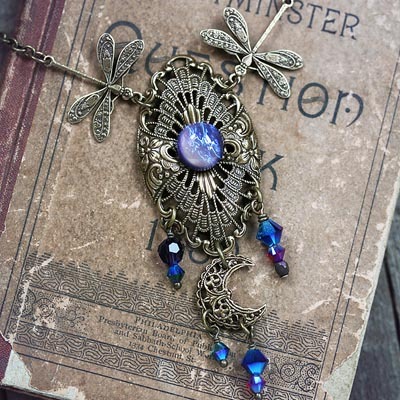 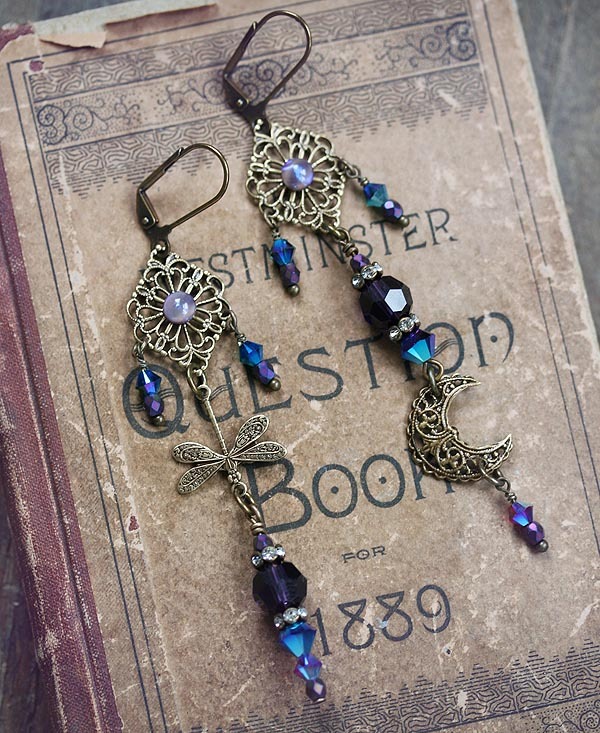 Antiqued brass filigree connectors topped with tiny purple Dragon's Breath Harlequin glass opals, accented with whimsical accents, including a dragonfly and tiny moon, and an array of show stopping jewel toned Swarovski and Czech beads. 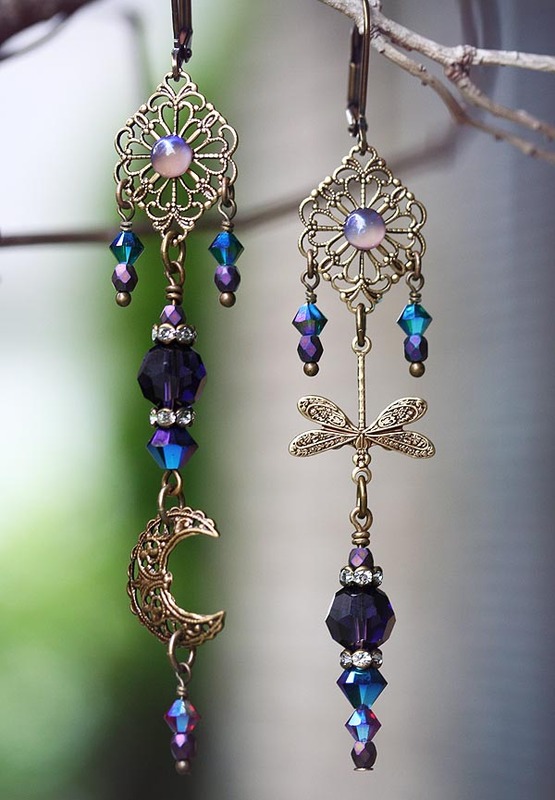 A little over 3.75 inches long including hooks.